ADDIS ABABA, 30 June 2017- UNICEF Ethiopia signed the Ethiopian Fiscal Year 2010 annual work plans with the Federal and Regional Government under the umbrella of the United Nations Development Assistance Framework (UNDAF 2016-2020). The signing ceremony, held at the Ethiopian Ministry of Finance and Economic Commission’s office, was attended by Heads of United Nations agencies including UNDP, UNFPA and UNICEF and the implementing Federal and Regional Government offices as signatories of the annual work plans. The total budget equals US$ 74,867,075. Implementation of the work plans will start on the 1st of July 2017 and will close on the 30th of June 2018, following the Ethiopian Fiscal Year. 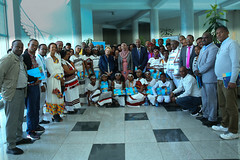 Addis Ababa, 30 June 2017: “Maternal and Neonatal Tetanus Elimination in Ethiopia is hereby validated!” That was the conclusion of the joint mission from UNICEF and WHO today at its debriefing sessions with: the Ethiopian Ministry of Health; the WHO Representative to Ethiopia; and the UNICEF Representative to Ethiopia. The Federal Democratic Republic of Ethiopia has thus become 42nd country in the world to have validated the elimination of Maternal and Neonatal tetanus. 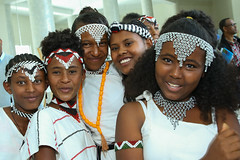 Ethiopia began accelerated Maternal and Neonatal Tetanus Elimination (MNTE) efforts in 1999. In 2011, all the regions in the country except the Somali Region were validated for MNTE. The 2011 validation mission made recommendations that would see the Somali Region progress to MNTE over time. The recommendations were implemented especially corrective vaccination campaigns against tetanus in 2016. The administrative, as well as post-campaign survey data, revealed more than 85% coverage in each of the 9 zones of Ethiopia Somali Region. The Joint validation mission reviewed these and other related data during the period, 28-30 June 2017, and concluded that maternal and neonatal tetanus elimination had been achieved in the Somali Region and, by extension, in the whole of Ethiopia. Receiving the good news of the validation of MNTE in Ethiopia, the State Minister of Health, His Excellency Dr. Kebede Worku exclaimed that “The country had worked hard on improving Maternal and Child Health services delivery with tangible results including the record attainment of MDG 4 three years ahead of the target year of 2015. Along with this, MNTE was given emphasis and hence between 1999 and 2009, over 15 million women of reproductive age (WRA) in 59 high-risk zones were immunized during three rounds of Tetanus Toxoid (TT) Supplementary Immunization Activities (SIA). Thus in April 2011, the validation survey concluded that the whole country except Somali region had been validated for MNTE, and now the whole country including Somali region has achieved MNT elimination. This was possible through the efforts and investments made to improve maternal and child health care. The ministry of health will continue to sustain this gain by integrating maternal and child health care services with other public health priorities”. WHO Representative, Dr. Akpaka A. Kalu, congratulated the country and said that “WHO is grateful for this remarkable result. He added that WHO will continue to support the Ministry to sustain this achievement by prioritizing risk areas for public health interventions that need more support and interventions through specifically targeted strategies with active community involvement to achieve the desired results.” Dr. Kalu also revealed that the integration of vaccine preventable disease with other health programs will be also incorporated in the WHO response strategy. 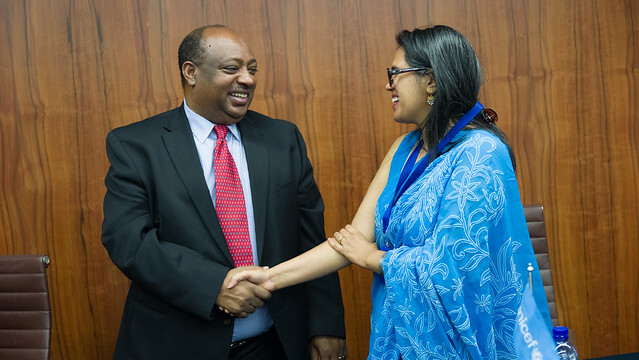 “I would like to extend my warm congratulations to the Ministry of Health and its partners for this excellent achievement, which benefits the health of women and children,” said Ms. Shalini Bahuguna, Officer in Charge of UNICEF Representative to Ethiopia. “UNICEF will continue to support the government of Ethiopia to sustain this achievement and deliver results for every child” she added. Zones were selected following an in-depth review of the risk factors for maternal and neonatal tetanus (MNT) using the high-risk approach. Clean delivery and cord care practices, reaching all women of reproductive age in high-risk districts through TT SIAs and immunization of pregnant women during routine immunization and conducting neonatal surveillance as it is a hidden disease, are some of the interventions that helped to achieve this remarkable result. It is acknowledged that the validation of MNTE in Ethiopia is not an end in itself but the beginning of a new phase of interventions focused on sustaining the attainment of Maternal and Neonatal Tetanus elimination status, an endeavour that is possible only through: maintaining tetanus protection level at above 80 percent in every zone especially in the zones that achieved elimination through Supplementary Immunization Activities (SIAs); strengthening partnerships for improving Maternal, Newborn and Child Health (MNCH) activities; and implementing the sustainability plan of action-2014 which incorporates a switch from Tetanus Toxoid (TT) to Tetanus-diphtheria (Td) vaccine, and annual joint review of national MNT risk status to guide the interventions. ADDIS ABABA, March 31, 2016 – As Ahmad* was being chased through the Yemeni desert by the motorcycle-riding human traffickers that had tortured and beat him in their camp for months, he thought he would never see his home village in southern Ethiopia again. “I didn’t think I was going to make it home,” recalled the young 17-year-old with an expressive face and wide eyes as he described his five months of attempted migration to Saudi Arabia that resulted in him getting ransomed by traffickers twice and ended in a harrowing midnight escape when he rolled off the truck containing bodies of fellow migrants he had been sent to help bury. 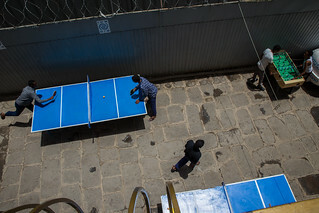 Ahmad is now safe in a transit centre in the Ethiopian capital of Addis Ababa, just a few short days away from the trip back home and being reunited with his family as part of a collaboration between UNICEF, the International Organization for Migration and the Ethiopian Government. Thousands of Ethiopians leave the country searching for opportunities, with many heading for oil-rich Saudi Arabia via the Red Sea port of Djibouti and through Yemen, which is currently deeply embroiled in a civil war. Many are preyed upon by human traffickers who often leave them stranded, or worse hold them for ransom. Many who make the trip are minors left stranded far from home. 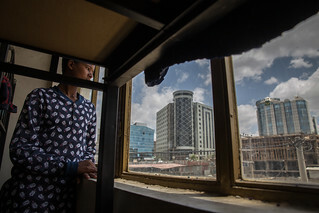 UNICEF and the IOM have begun bringing these children back to Ethiopia and housing them for a week in the Addis Ababa transit centre while their families are contacted. The children are given new clothes, showers and counselling to try to overcome some of the experiences they have been through. Many are at first uncommunicative but with time and group therapy they begin to interact with their peers, said Farah. The centre helped bring home 598 children in 2015 and already in the first few months of 2016 it has sent another 157 to their families, including 10 girls. Families receive a 1,000 birr (US$50) resettling aid as well. Most of the children helped by the programme are between 15 and 17 years-old but there are cases of even younger children caught up in the lure to immigrate. 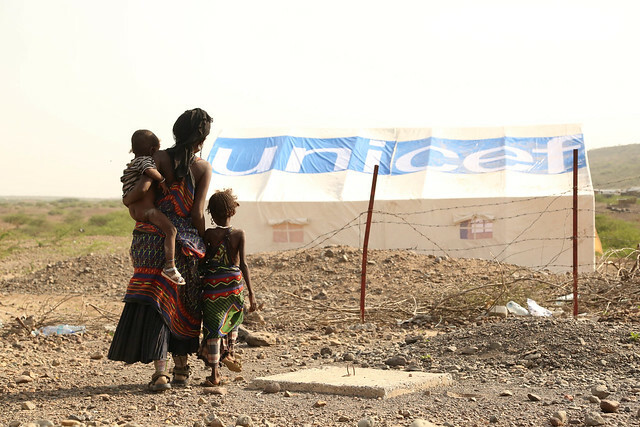 The IOM-UNICEF partnership to bring these children back to their families has been singled out by the UNICEF Eastern and Southern Africa Regional office as a success story. Sitting in the clean, white-washed activities room, Zerihun*, 17, talked about being ransomed by traffickers in Yemen and beaten repeatedly when his family couldn’t provide the money. “They beat me until I became really sick and then they thought I would die so they left me outside,” he recalled, admitting that he still has trouble sleeping from the trauma. In the end, he survived the terrible experience and was able to run off into the desert and find a Yemeni village. There, he received assistance that eventually put him in contact with the IOM, enabling him to return home. Some migrant children at the centre said they left for Saudi Arabia because they had seen many others go and thought it was a chance to make something of their lives and return with money. Kabir*, just 16-year-old, thought he could use his skills as a herder and help manage the massive herds of sheep and goats imported into Saudi Arabia annually for the Muslim feasts, but he too just ended up ransomed by traffickers who had hired Ethiopians to communicate – and beat – their prisoners. He said when he returned home, he would be sure to warn others about the perils of migration. *Names changed to protect the children’s identities. 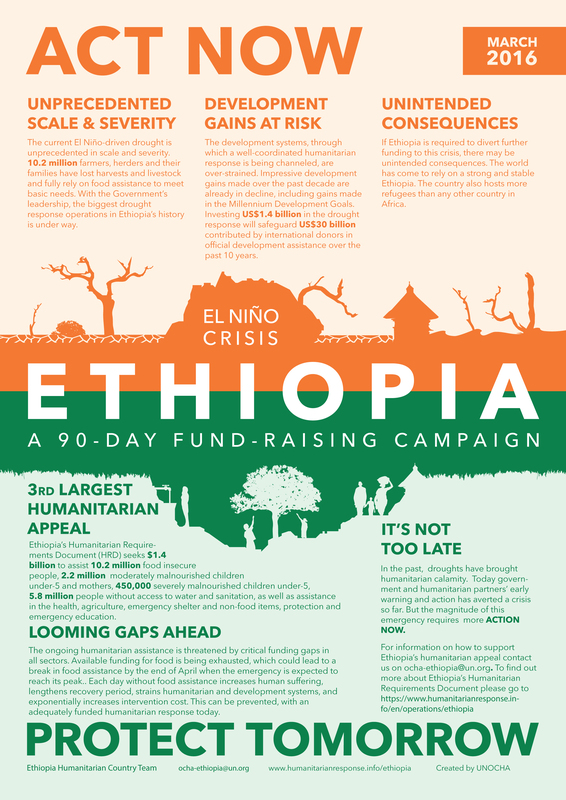 (Addis Ababa, 23 March 2016): Humanitarian partners today launched a 90-day campaign to raise awareness on the urgent need for an additional funding for the drought crisis in Ethiopia to address the humanitarian resource gap. While Ethiopia’s 2016 US$1.4 billion appeal has received over US$758 million from the Ethiopian government and the international community, significant life-saving gaps remain across all sectors. 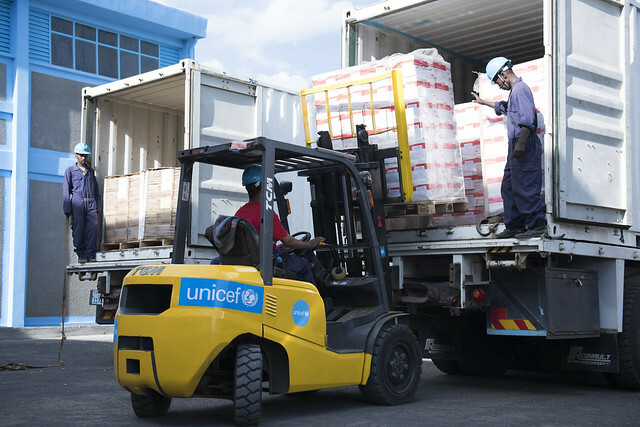 The four months lead time to get relief commodities to people in need means that action is required now. Commending the Ethiopian government, the UN Humanitarian Coordinator noted that the government is one of the largest financial contributors to the crisis so far and also leads in the coordination of a complex inter-sector response, which uses government systems and relies on national capacity. Noting that the international community stands to gain much from supporting Ethiopia in the drought response, the Humanitarian Coordinator observed that drought response is not just about saving lives it is about protecting development gains – gains which the Government and its development partners have worked tirelessly to build up over decades. 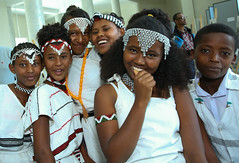 New York/Addis Ababa, 21 March 2016 – On the eve of World Water Day, UNICEF said the push to bring safe water to millions around the world is going to be even more challenging due to climate change, which threatens both water supply and water safety for millions of children living in drought- or flood-prone areas. One of the principal contributors to faecal contamination of water is poor sanitation. Globally 2.4 billion people lack proper toilets and just under 1 billion of them defecate in the open. This means faeces can be so pervasive in many countries and communities that even some improved water sources become contaminated. The safety concerns are rising due to climate change. In March 2015, a year ago, Ethiopia celebrated the achievement of meeting MDG 7c by halving the number of people without access to safe water since 1990 – 57 per cent of the population now using safe drinking water. During the celebrations, it was noted that the majority of the MDG water supplies have been constructed in the densely populated highland regions. Thousands of hand dug wells, springs and small piped water schemes have been constructed to serve the highland populations using shallow and accessible surface water. 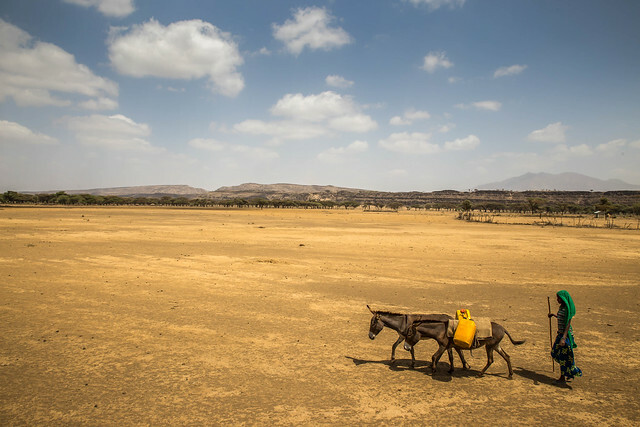 In comparison, limited water supply development has taken place in the water scarce areas of Eastern Ethiopia. Inaccessible and deep groundwater resources make water supply to these areas costly and complex. Combined with this, the negative effects of climate change such as changing rainfall patterns and increased surface air temperatures are resulting in increased evapotranspiration of available limited water sources. For many years, UNICEF Ethiopia has worked to develop water sources in water scarce areas of the country. In its current Country Programme, UNICEF is assisting the Government of Ethiopia in exploring the use of satellite/remote sensing technologies to identify deep groundwater sources. These sources are then being developed through multiple village water schemes which supply water to residents (women and girls) in villages, schools and health centres. According to UNICEF, most vulnerable are the nearly 160 million children under 5 years old globally who live in areas at high risk of drought. Around half a billion live in flood zones. Most of them live in sub-Saharan Africa and in Asia. Using the #ClimateChain hashtag, UNICEF Executive Director Anthony Lake, UN General Assembly President Mogens Lykketoft, UN climate chief Christiana Figueres, and other prominent figures will figuratively join hands with members of the public in a chain of photographs intended to urge action to address climate change. The images will be presented at the signing of the Paris Agreement. In drought-prone Kiribati, new rainwater-harvesting and storage facilities are improving communities’ access to safe drinking water. In a recent publication, Unless We Act Now, UNICEF has set out a 10-point climate agenda for children. It sets out concrete steps for governments, the private sector and ordinary people to take in order to safeguard children’s futures and their rights.